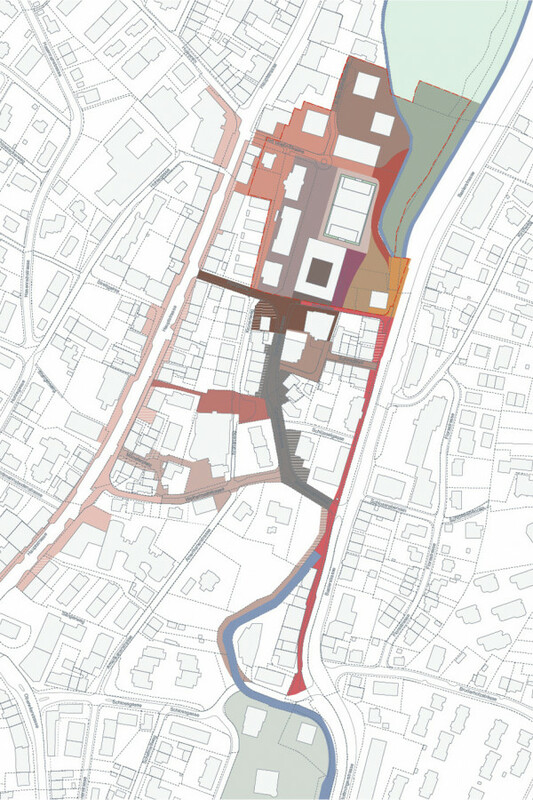 In its urban development Binningen has developed from a ‘village’ to an ‘urban-quarter’, belonging to the greater urban conglomeration around Basel. 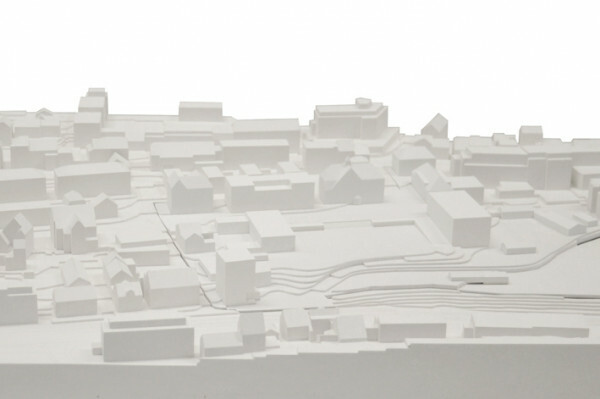 Typologically, Binningen was never neither a linear village nor a cluster. 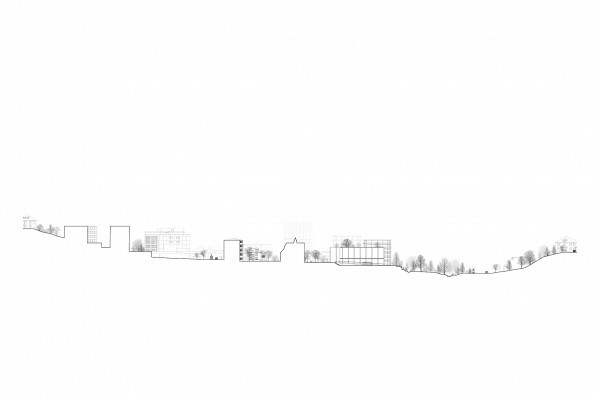 Its urban typology was shaped by the existing landscape and the topography of the Birsig river and valley leading to the natural undulating topography with its scattered groves being transformed into individual terraces. 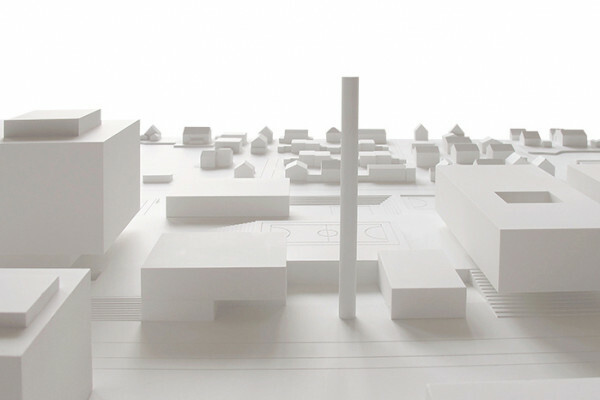 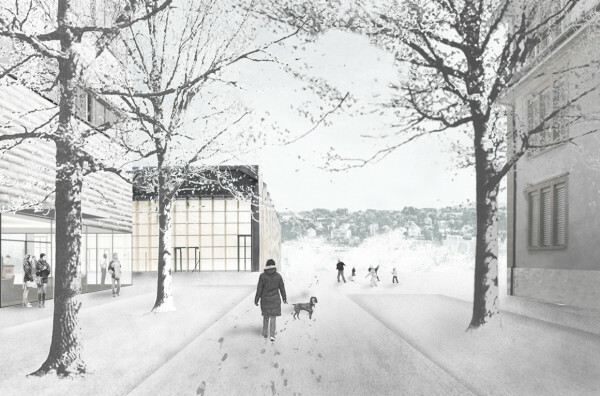 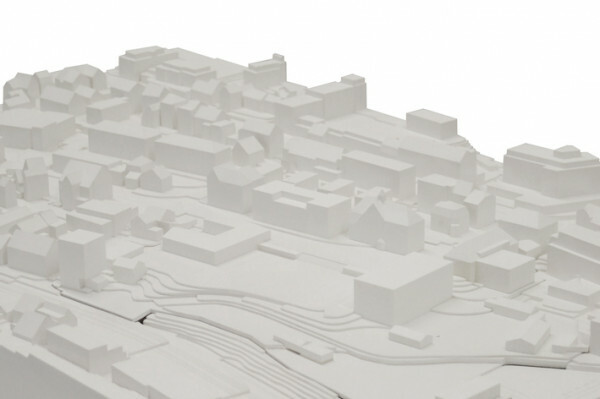 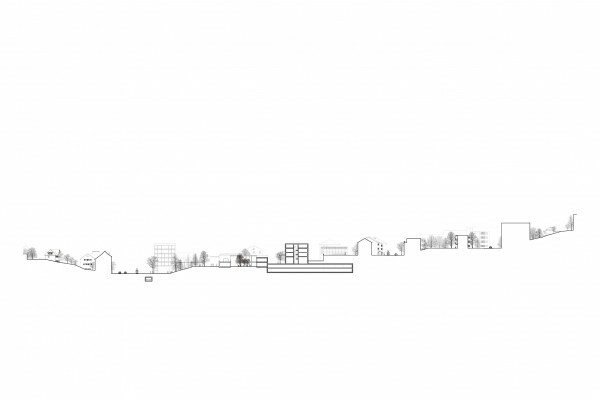 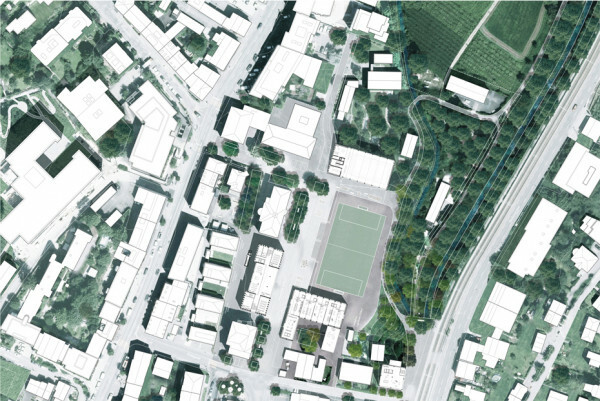 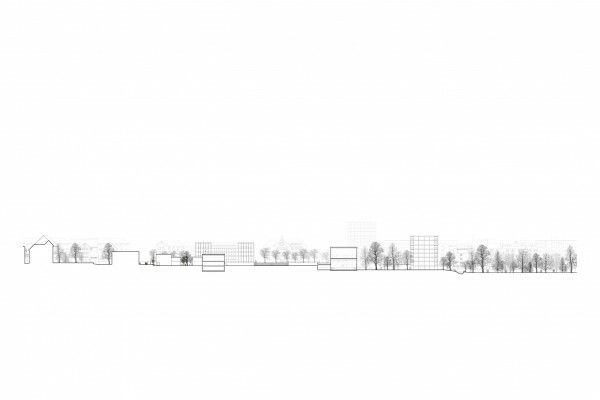 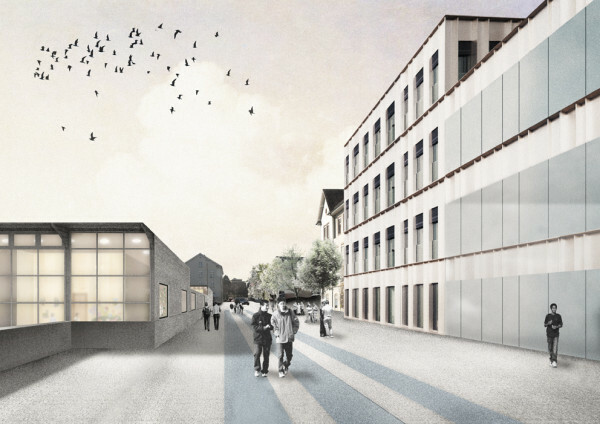 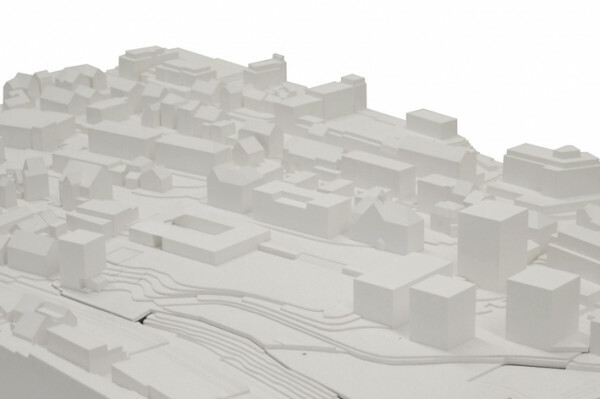 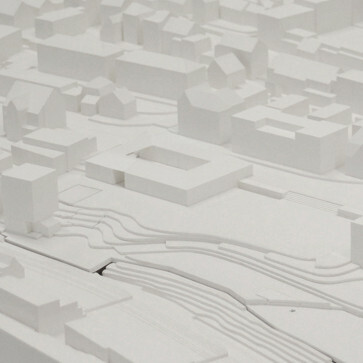 The design brief called for rethinking the ‘Village – Center’ for Binningen, along with re-forming a school campus located next to the Basel-Zoo; a site, that because of its topography reads as being very fragmented, although factually not lacking in terms of open space and views. 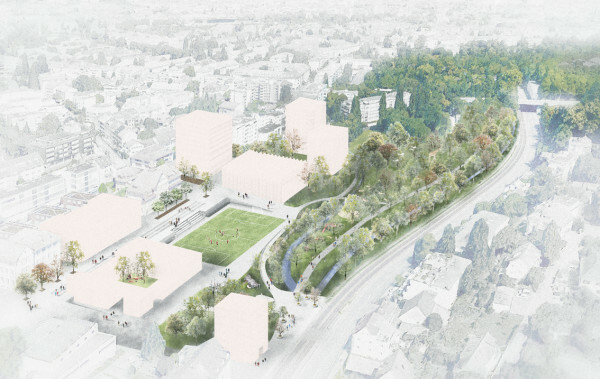 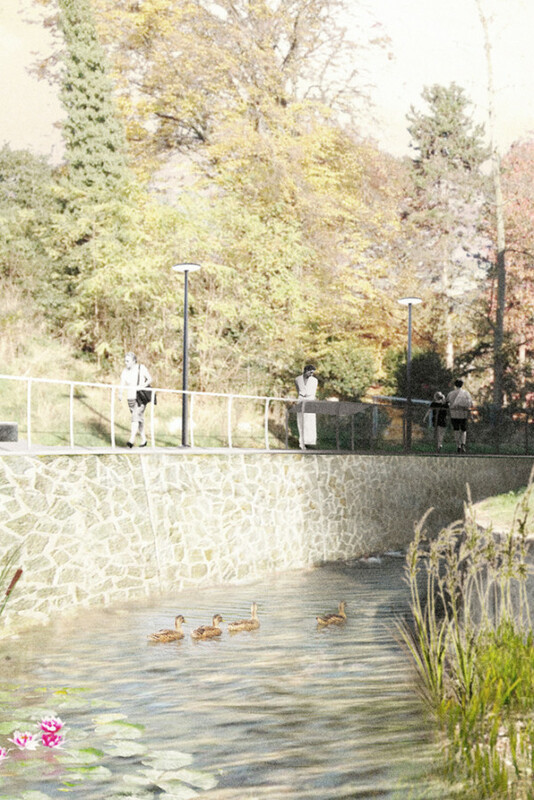 A key element of our concept regarding the open space is strengthening the connectivity between significant public spaces, such as the Binninger Schloss and the park-like green space of the Zoo, making sure that we provide increasing accessibility to the newly formed ‘Village – Center’. 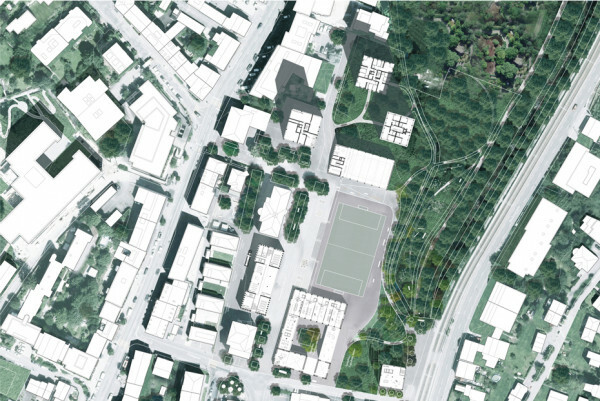 Within our given site-boundary, we allocate the already existing uses such as the School & Kindergarden Campus grouping urban morphology and scale, so that urban form is made consistent. 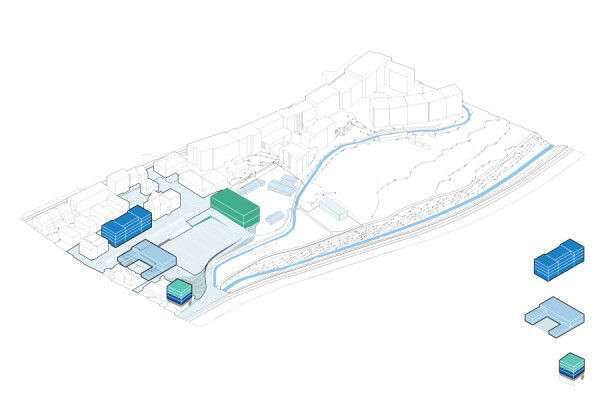 Within the broader area of study, we propose a network of open-space, arising from carefully selected nodes that are to be optimised in terms of design and usage. 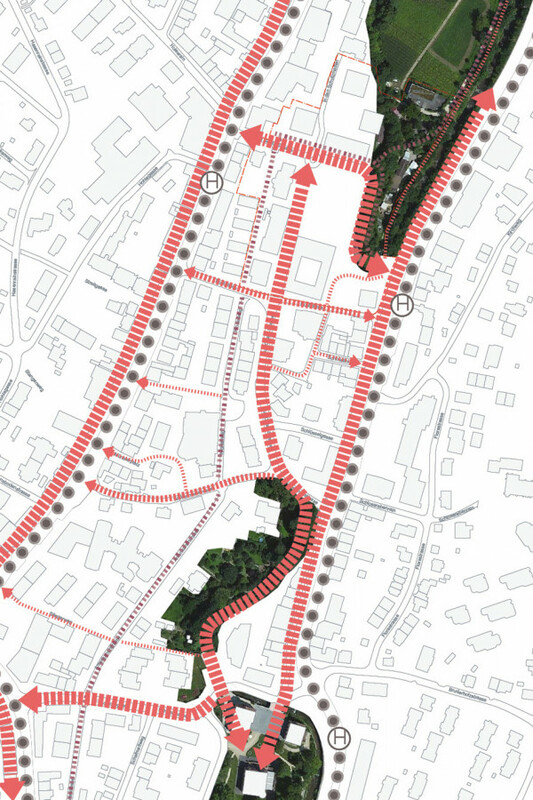 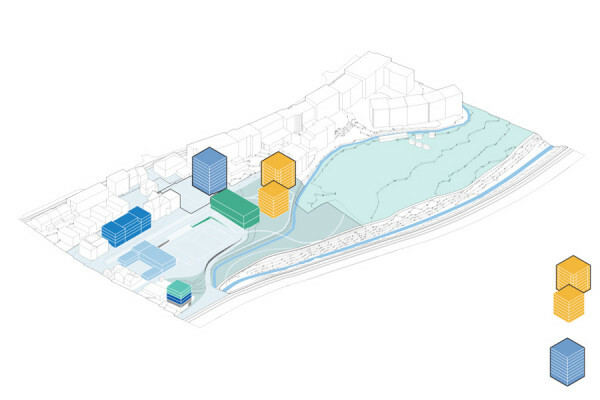 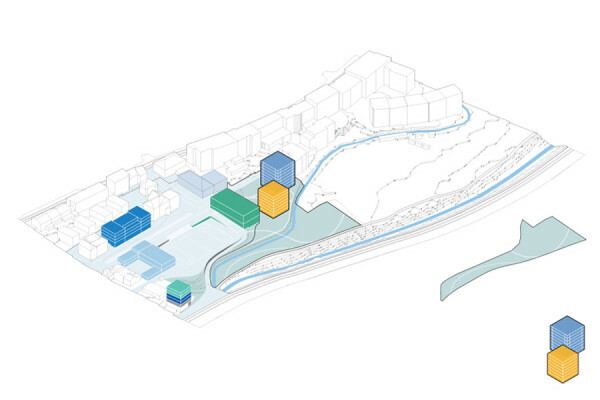 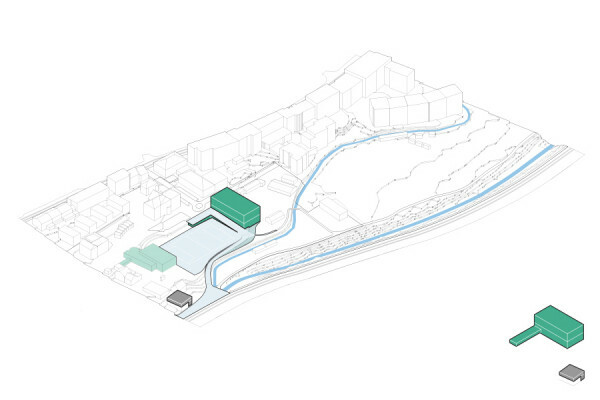 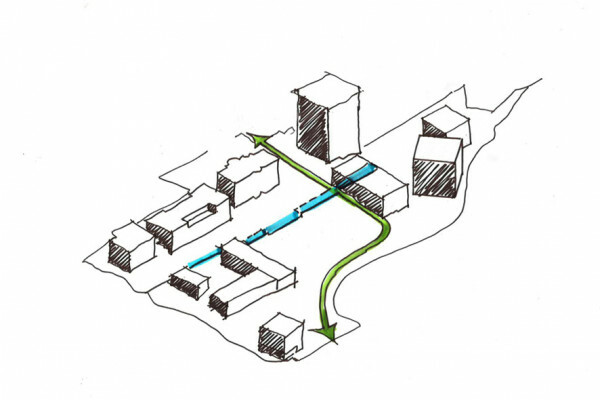 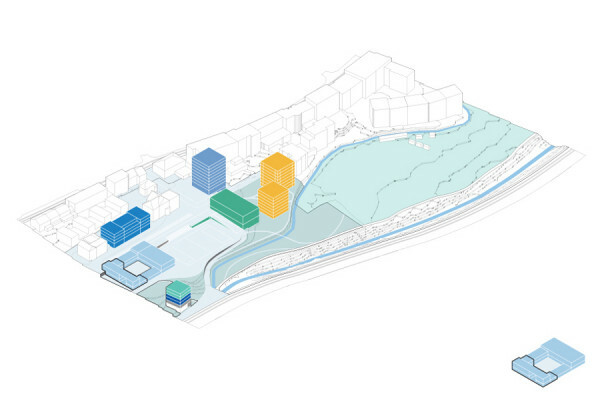 This way, our broader urban strategy consists of punctual interventions that are meant to be implemented in carefully calculated phases and act within and beyond the given site-boundary toward creating a cohesive and vibrant new centre for Binningen.